The CMC Research Institutes are aiding the NRG COSIA Carbon XPRIZE for a $20 million global competition. The competition is aimed towards finding technologies that can successfully convert Carbon Dioxide emissions into high-value products. This is highly contextual in today’s world, where air pollution in major cities all over the world is a growing concern every day. Besides sustaining a balanced ecological life, the technology is also expected to earn revenue since the finished product is a high value one. Thus, a positive economic impact is also being looked at. The terms of the competition allow the participants to make full use of the technology and expertise available at the technology commercialization centres provided by the CMC Research Institute. This would allow for proper development and testing of the technology being developed so that final deployment would be smooth. Also, the commercial viability of the venture is also probed as well. The place where the participants can test and try the new product is located in B.C.’s Lower Mainland. It is under the supervision of Carbon Capture and Conversion Institute (CCCI), operated by CMC. The main aim of the technology centre is to capture and successfully convert carbon obtained from industrial sources while keeping in mind the commercial aspect of the deployment. As such, the Institute would provide the participants with state of the art technologies and an unprecedented access to the global community of researchers and industrialists who would be able to guide the teams in their endeavours. The partners would also help with the design and creation of the final product in the area of engineering and fabrication. A significant role in the CCCI Institute is being played by BC Research Institute as well. Richard Adamson, the President of CMC Research Institutes, added, “We are excited to support the NRG COSIA Carbon XPRIZE process. CCCI, NRG, COSIA and XPRIZE are tackling one of the most critical challenges of our time – that of moving our planet to a low carbon future. The technologies being developed will play a role in making that future a reality”. The Carbon Capture and Conversion Institute team will be collaborating with the semi-finalists (Round 2). There, with the help of professional support, they will build and test the project at a pilot scale (estimated to be around 100kg/day handling capabilities). Besides being an excellent test before deployment, it will also help smooth out any technical details that may arise in the project. The test will be conducted either in real world scenarios or with the aid of flue gas. The competition will conclude with the Round 3 where the team will have to demonstrate the device in an actual industrial setting. The commercial-scale deployment would be made at either of the 2 Carbon XPRIZE test sites. These are the natural-gas-fired Carbon Commercialization Centre in Southern Alberta or the test site at Gillette, Wyoming where a coal-fired Integrated Test Center is located. The tests are finally scored by the amount of CO2 converted and the net value of the final products that are obtained. Thus, the final score is by economic as well as ecological sustainability and the net worth in both fields. The Director of the Carbon Capture and Conversion Institute, which is based in Vancouver, Goran Vlajnic stated that the new technology being developed would contribute to the emerging clean technology sector being developed in the B.C.’s Lower Mainland. Not only that, but it will also put Canada on the global map concerning the development of low carbon technologies. He went on to say, “We collaborate with government and academic researchers at both the provincial and federal levels and also draw on a global pool of experts. Carbon XPRIZE competitors will benefit by being able to use this diverse network of researchers who are at the forefront of low carbon technology development”. While newer technologies are being revealed all the time, the Carbon XPRIZE aims to bring to the forefront, the option to convert carbon dioxide from an adverse climate changing catalyst to commercially viable products. The semi-finalists represent the brightest of minds from 6 different countries regarding carbon capture and utilisation companies, academic institutions, nonprofit organisations, etc. As such it is only to be expected that the range of products being looked at includes a wide variety of options from toothpaste, fish food to carbon nanotubes. XPRIZE is a leading global competition to address various challenging problems in the modern world. Utilising a unique approach which includes gamification, crowdsourcing, and exponential theory, the whole idea is that introducing the right technology at the right time can lead to unimaginable growth regarding scientific progress globally. Some active competitions include the $30 million Google Lunar XPRIZE, the $10M Qualcomm Tricorder XPRIZE, the $1.75M Water Abundance XPRIZE, etc. CMC Research Institutes are a leading part of helping with combating various ecological changes in the world. 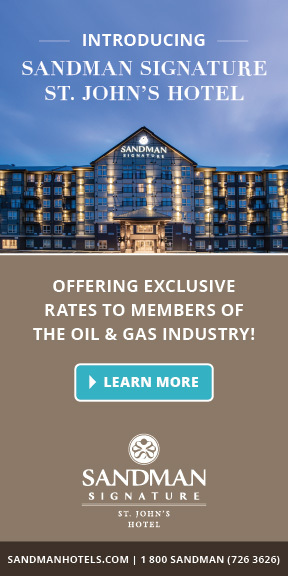 They form a critical aspect of Canada’s battle against climate change and are represented by CMC and its two different business organisations, the Carbon Capture and Conversion Institute and the Containment and Monitoring Institute. They offer accurate risk assessment and investment options for leading technological growth. 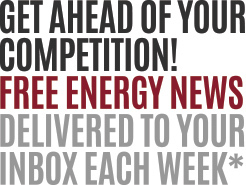 Check out www.cmcghg.com for more information. CCCI is an active part of the CMC Research Institutes and is developing a continuous sustainable carbon conversion and innovative model to combat the greenhouse gas emission in industrial sectors. The new model is expected to be a unique engineering technology that will improve the efficiency of operation, reduce carbon capture and conversion costs while being synergistic at the same time. The institute is located at the Technology Commercialization and Innovation Centre in Richmond, B.C. Would you appreciate knowing more about XPRIZE & CMC? Fill out this request and we will have a product and service expert get in touch with you. No comments so far. Be the first! Write your thoughts and/or questions below. 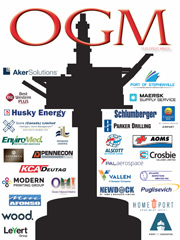 Enter your name and email to get our weekly online magazine OGM, sent directly to your inbox for free! Uncover the keys to outrageous success in business. Be prepared to be educated, elevated and entertained. We respect your privacy and will never share your information with third parties. WEST WHITE ROSE, Special Feature Edition - Read Now! Never before in history has this province been poised for so much success! THE DRILLING RACE IS ON: Will we find oil? TheOGM.com © Copyright 2011-2019. All Rights Reserved.